Insect bite treatment is an important element of healthy skin care. If spider or insect bites or stings are ignored, there is potential for complications for the skin and health of the individual. The skin provides protection for the rest of the human body from external contaminants, poisons, etc. Therefore, when it comes to insect and spider bites it is the target organ for biting insects and spiders. Why do insects and spiders bite the skin of humans? 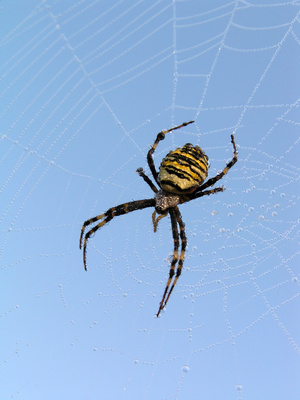 There are two principal reasons why spiders and insects will bite or sting. The first is for protection and the second is to feed on human blood. Read on to learn more about bite treatments for spiders, fleas and bed bugs. The reasons for biting or stinging categorize spiders and insects into two classes: venomous (or poisonous) and non-venomous. Depending on which type of insect did the biting, an insect bite treatment may be necessary. Venomous insects are the ones that bite or sting as a defense mechanism to protect themselves or their nests. Usually the bites or stings are very painful and toxic venom is injected into the skin via a stinger. The affected area often swells (around 12 inches or possibly more from the affected area) and becomes very red. A stinger may or may not be left behind, depending on the insect. Itchiness is usually not one of the significant symptoms caused by venomous insects. Individuals with these types of bites or stings usually pursue insect bite treatment. In some cases, the insect venom can cause a severe allergic reaction within a few minutes or up to an hour after the bite or sting. In these cases, the facial area swells, urticaria develops all over the body, and difficulty or no breathing at all can develop (anaphylaxis). This is a very dangerous condition and an insect bit treatment and more serious medical attention should be pursued. Non-venomous insect bites are in general quite a bit less painful. These insects inject anti-coagulant saliva into the skin to facilitate feeding on the human blood. In many cases, an insect bite treatment is not sought after or required. Usually only minor swelling or a small raised red spot occurs that may or may not blister, accompanied by itch. For some, the itch, swelling, and redness may be more severe or mild allergic reactions may occur. Intense itch can lead to repeated scratching of the affected area and breaking of the skin surface. This can result in an infection. Therefore, some type of insect bite treatment may be a good idea to prevent any problems from developing. Insects may also carry viruses such as West Nile, Malaria, Lyme disease, Dengue fever, Rocky Mountain Spotted fever, Encephalitis, and Rickettsial disease among others. Therefore, bug bite treatment or more aggressive medical treatments and prevention all become extremely important. In addition, bites can sensitize individuals to certain skin conditions. For example, dermatographism is one skin condition that may develop because of a bite or sting, usually from a venomous type insect. As discussed above, depending on which type of insect did the biting, an insect bite remedy or insect bite relief may be required. Therefore, listed below are various common biting and stinging insects in order to provide specific information on each insect. This information includes the effect that the bites have on human skin and the body overall, description of bites, prevention steps in order to avoid bites or complications from bites, and a discussion on insect bite treatment. Please click on the type of insect to access this information. A mosquito bite usually results in redness and minor local swelling around the mosquito bite site. Itching is also very common and tends to last longer than the swelling, which subsides after a few hours. An insect bite treatment for mosquitoes will help bring relief for these symptoms. Bed bug bites create small hives usually in an orderly row or clustered pattern. Skin redness and itching are also very likely and are a reaction to the bed bug’s saliva. Insect bite treatment for bedbugs is similar to that for mosquitoes. Bed bug bite pictures can be found at the bed bug pictures page. Despite its size, the bite from a sand flea is quite painful. In fact, most of the time the bite is more painful than one from a typically larger mosquito. In addition to pain, the bite causes a large welt or rashes on the skin that can persist for several days. A wasp sting can produce symptoms that are local and affect only the skin or can be systemic and affect the whole body. Whether a sting will generate minor or major reactions or symptoms depends on a number of factors. The type of insect bite treatment or insect bite relief depends on the severity of the reaction to the sting. 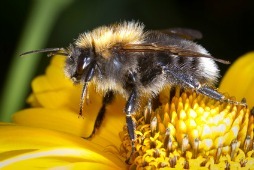 A bee can cause quite mild non-life threatening skin symptoms or much more serious health problems. The greatest risks that can occur from bee stings are an allergic reaction(which could be fatal in some individuals) or infection. Bee sting treatments are often required to avoid health and skin problems. A fire ant delivers a very painful and burning sting to its victims. This fiery burning pain is intensified because of the likelihood of multiple bites or stings. An insect bite treatment is necessary to help brief relief to the victim and prevent complications from developing. Most spiders are not dangerous to humans and do not require a bite treatment. Most bites are too small even to be seen. However, all spiders do have some amount of venom and the potency can vary substantially. This determines the extent of reaction in the skin and the body overall. A treatment for chigger bite is often required to ease the symptoms that occur after a bite. Within a few hours after a chigger bite, extremely intense skin itching will be experienced. This is accompanied by the appearance of red bumps on the skin.